Susan M. Hughes, MD, FACS is a pioneer in facial cosmetic surgery and utilizes the most current and effective innovations. She is the oldest of seven children, all doctors, who followed in the footsteps of their physician parents. Susan M. Hughes, MD, FACS is Harvard trained and among the most experienced and highly trained facial cosmetic surgeons in New Jersey. She has consistently been selected by her peers as a Philadelphia “Top Doc” in eyelid plastic surgery and facial cosmetic surgery in Philadelphia Magazine’s annual survey. She has also been recognized as a South Jersey “Top Doc” in Plastic Surgery. She has taught in the Oculoplastic Department at Wills Eye Hospital for 24 years, and has her private office in Cherry Hill, New Jersey. Dr. Hughes operates in her office based AAAHC certified operating room and at the Virtua Health Care System Hospitals. 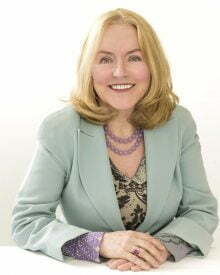 Susan M. Hughes, MD, FACS has volunteered with Project Orbis and has operated and lectured in third world countries. She lectures locally, nationally and internationally in her field.